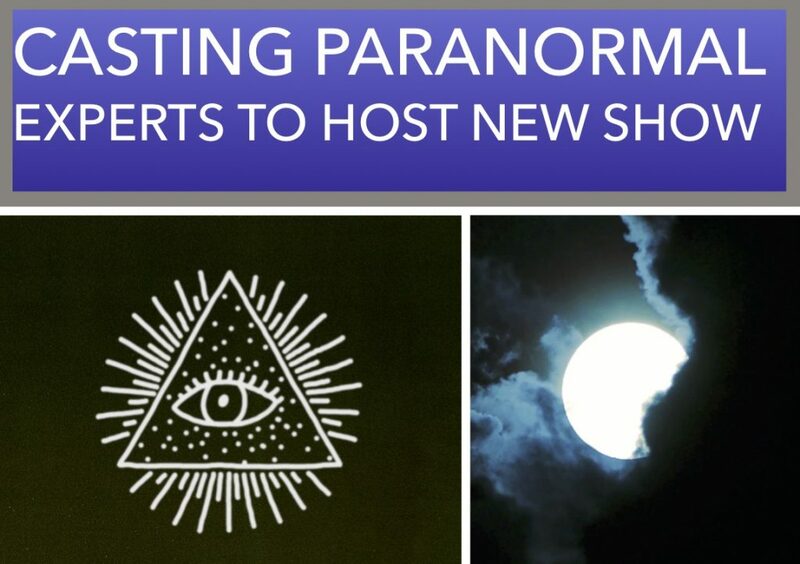 Are you obsessed with investigating and understanding the paranormal? Is this your career or a hobby you are extremely passionate about? 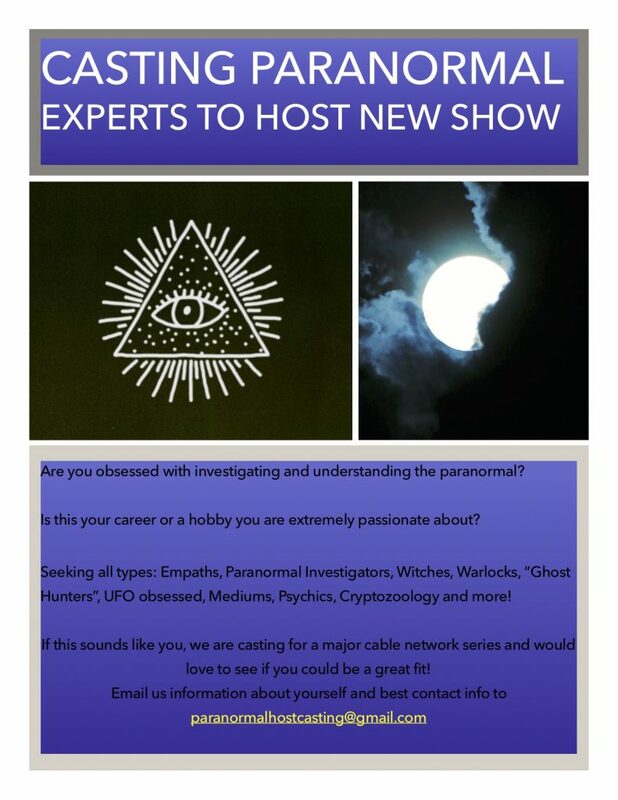 Seeking all types: Empaths, Paranormal Investigators, Witches, Warlocks, “Ghost Hunters”, UFO obsessed, Mediums, Psychics, Cryptozoology and more! If this sounds like you, we are casting for a major cable network series and would love to see if you could be a great fit!